September 29, 2017 – The Minister of Canadian Heritage, Mélanie Joly, unveiled yesterday her plan for a Creative Canada. Whithin this exhaustive plan, two announcements are of particular, positive note for the performing arts sector. First, the Minister provided details on the $300 million investment in the Canada Cultural Spaces Fund announced in Budget 2017. Part of this investment will be made available for creative hubs across the country. These hubs will help nurture and incubate the next generation of artists and cultural entrepreneurs. It will provide them with spaces and equipment to create, collaborate and innovate. Cities that do not yet have such a creative hub would be good candidates for this targeted cultural spaces funding, as well as for the $1.26 billion five-year Strategic Innovation Fund. Second, the Minister laid out plans for the continuation of the 2016 “Showcasing Canada” investment. The Creative Export Strategy will provide $125 million over five years to sustain cultural and trade officers, as well as trade missions. In addition, a new Creative Export Fund will be launched in 2018 to help Canadian creators achieve their international business objectives. 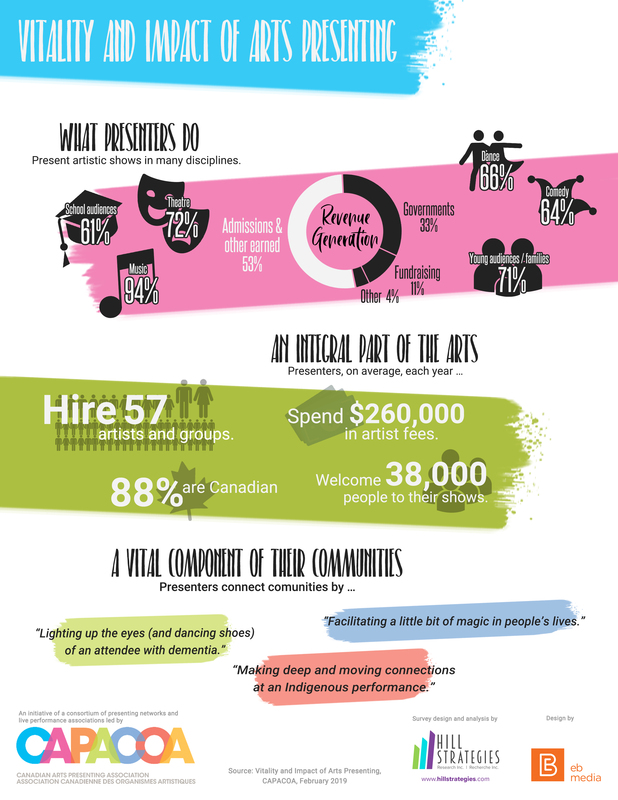 These investments follow recommendations made by CAPACOA and the Canadian Arts Coalition. The Coalition commended the Minister on her vision and her responsiveness in a news release. This Creative Canada policy framework is just the first outcome of a 16-months long consultation on Canadian Content in a Digital World. Stay tuned as more announcements are made and more information becomes available.